I suppose that most of us when describing our little hobby, break out that $20 word horology. There is probably a perverse pleasure in watching a listener’s face go blank as they mentally grasp for a dictionary. In our smug amusement we tend to overlook the reality that horology is a living science, and that we are largely aficionados of the artisanal watchmaking of its antiquarian and anachronistic forms. While often despised by connoisseurs, it is the quartz oscillator which is the basis of horology today, not the pendulums and balance wheels of the past. Alas the science is wholly absorbed in the development of better reference clocks for state and military use, where the John Harrisons of our day attempt to eliminate that last billionth of a second error rate. AAs wristwatches are primarily a commercial grade product, the complacency of the average consumer with the mediocre accuracy of common quality quartz has evidently led to the stagnation of the form. The last leap forward in the science of wristwatch timekeeping came nearly a quarter century ago. The heritage of piezoelectric quartz crystal timekeeping is a short one: First harnessed in 1928 by Bell Labs, clocks with quartz oscillators slowly displaced pendulum regulator clocks as the reference standard in the 1930s and 1940s. Continued experimentation with different cuts of crystal resulted in different frequencies of vibration and responses to temperature. The hybridization of quartz timekeeping with ideas from the young science of quantum mechanics lead to the creation of the first atomic clock in 1948. With advances in miniaturization quartz navigation clocks began to replace marine chronometers beginning in 1961, and as we all know crystal oscillators were first introduced to wristwatches commercially in 1969 and 1970. The technology of quartz-atomic timekeeping has advanced steadily, and the latest NIST-F1 has decreased the best reference error rate to one second in twenty million years. Of course none of the above has that misty-eyed romantic appeal which draws us to antiquarian horology. No elves, no tourbillon ballets, no great names or nautical adventures. The potential beauty of quartz yes, I use the word beauty here the potential beauty of quartz lies not in the quest for craft in-itself, but in the pursuit of perfection. For absolutely perfect performance. It is a technological passion, one originally born of the quest for longitude, and one which we still understand when applied to our audiophile systems, home theatres, and automobiles. The craft of quartz lies more in the skill of engineers and physicists than watchmakers in the traditional sense, yet the quality of materials, components, and workmanship weighs just as heavily here as with mechanical movements. 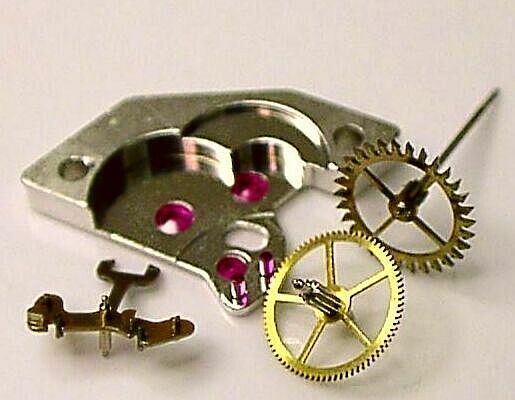 Also like mechanical movements, its potential for beauty can be undermined by omitting the features of optimal performance and the workmanship that maximizes longevity. Bringing the crystal oscillator to the minute and hazardous wristwatch platform was one of the great challenges of 20th century horology. 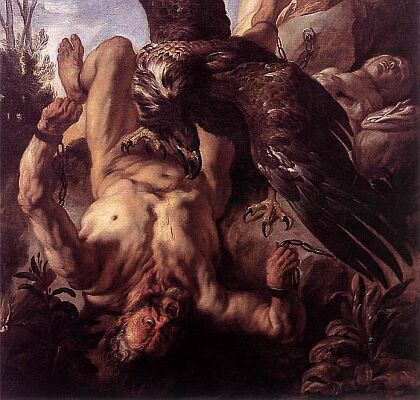 The factors of size, cost, battery life, physical durability, and crystal life each formed a Herculean trial. Most crystal oscillators produced for timekeeping and other applications run between 5MHz and 100MHz. To maximize stability (low noise), long crystal life, and to reduce power demands to the minimum led to the use of low frequency (<1Mhz) quartz tuning forks. The actual development of quartz wristwatches followed shortly after the invention of the integrated circuit (IC), first in Japan by Seiko in 1959, and then in Switzerland in 1962 by CEH a research and development lab founded by a consortium of 20 Swiss brands and manufacturers. 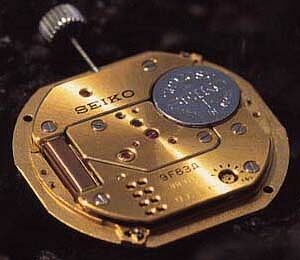 Both Seiko and CEH produced their first prototypes in 1967. Seiko’s commercial introduction of its Astron in December of 1969 was shortly followed by the appearance of CEH’s Beta 21 module in the watches of 16 Swiss brands in 1970. Both the Seiko calibre 35SQ and Beta 21 operated at a very low 8kHz, which was still a far cry from the 2.5Hz to 5Hz of contemporaneous mechanical movements. The quest for better performance led to the doubling (16kHz) and redoubling (32kHz) of oscillator frequency, and the switch to CMOS integrated circuits which reduced power consumption by 60%. These features adopted within the first few years of the 1970s defined 2nd generation quartz modules and remain the standard today. Of course no true child of the science of horology could be satisfied with the ± 5 or ± 10 seconds a month of those 2nd generation modules. The most obvious method to improve performance would be to dramatically increase oscillator frequency. 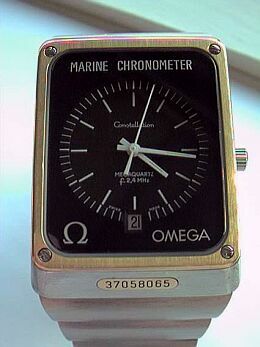 First introduced commercially in 1974, Omega’s 2.4 MHz Marine Chronometer achieved an annual error rate of ± 12 seconds – an unprecedented resolution for a production wristwatch and coincidentally it is the exact same performance first attained by John Harrison’s breakthrough regulator clocks of the 1720s. Wristwatches were finally nearing Observatory reference grade performance. While its high frequency sacrificed some potential battery life, Omega’s Observatory-certified calibre 1510 was the first 3rd generation quartz module and its achievement would define the class in the years to come. As temperature induced error is the primary bane of stable oscillator performance, a less brute force technique for better accuracy than high frequency oscillation was to directly confront temperature induced error through thermocompensation. Temperature compensation had first been introduced for crystal oscillators in 1956, and used extensively for reference grade quartz clocks, quartz-atomic clocks, and other applications. The most stable form is Oven Compensation (OCXO), which keeps the crystal oscillator under controlled temperature to eliminate any possible rate variation. The bulk and power demands of OCXO obviously eliminated it as an option for quartz wristwatches, leading first to the integration of thermistors in effect a thermometer into the IC. This and related refinements for wristwatch use appears to have been first undertaken by Rolex, which had been a founding participant in the CEH project, and a producer of some 1000 watches utilizing the Beta 21 module. After several years of research and development Rolex introduced a 3rd generation quartz module of its own design in 1977. Shown above and below left, the Oysterquartz calibre 5035 was and remains the basis of the Oysterquartz Datejust. A version with a day guichet is also produced for the Oysterquartz Day-Date (calibre 5055). The module appears to have been the first to feature both thermocompensation and a rate trimmer technically described as a VCTCXO module (Voltage Compensated Temperature Compensated Crystal Oscillator). 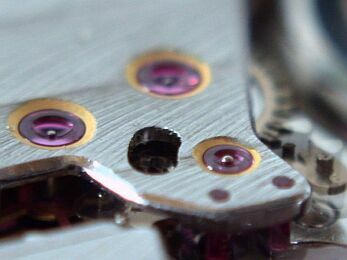 Rate trimmers were once a common feature of quartz modules which allow for the fine adjustment of performance much like a regulator in a mechanical movement. It is also useful in maintaining the best performance over time to compensate for the small frequency drift of aging quartz crystals. Furthermore, calibre 5035 also features unusual amagnetic properties. The stepper motors which advance the hands of a quartz module are critically vulnerable to permanent depolarization by strong magnetic fields. Magnetism which would be an annoying inconvenience to a mechanical watch can be fatal to analogue quartz, and a few of the best quartz wristwatches incorporate antimagnetic shielding in their cases. The Rolex is amagnetic to 800 Gauss without such shielding. Despite its obvious optimization for real world performance Rolex has never published any accuracy claims. Rolex calibre 5035 also introduced a new level of craftsmanship to quartz modules, obviously intended to maximize longevity and serviceability, with workmanship apparently superior to that of its best mechanical movements. In the first several years of the 1970s quartz was an inherently expensive luxury product. That they worked at all was a technical triumph of the new craft, and little extra effort went into the finishing of those early handmade modules it was also a time when plastic was considered a progressive material in movement design. Yet as the latter half of the 1970s saw the introduction of inexpensive, mass-produced quartz watches and solid-state digitals, it also saw the further evolution of high-craft handmade quartz modules. A few were like the Rolex 5035 which pushed the science of timekeeping forward, and others which were technically nothing more than 2nd generation modules with a nice appearance and better prospects for longevity. No discussion of the Oysterquartz would be complete without some discussion of its commercial failure, and its continued presence in the market today. I feel that the commercial rejection of the Oysterquartz by the Rolex consumer in the heyday of quartz wristwatches is linked to the dramatic change in the oyster case and bracelet design used for the new model. The Rolex Oyster aesthetic had been long classicised in the consumer mind, and was cloned extensively by other manufacturers. The new Royal Oak style of the Oysterquartz wristwatches undermined its image as a Rolex in the market, and they are often still seen as fake today. I feel that if Oysterquartz modules had simply supplanted the contemporary mechanical movements in the existing Oyster Perpetual models without further modification to the external wristwatch designs then Oysterquartz would be the standard product of the manufacture today. The Oysterquartz and its original modules are still made in very small numbers (~1,000 annually), providing us with a direct link to the height of the quartz revolution when that revolution meant progress and evolution, and not the decadent consumerism of cheap disposability that quartz would come to be equated with in the 1980s. A cheapness which may have been instrumental in the revival of high-craft mechanical watches. Seiko’s response to the Oysterquartz in 1978 would mark the beginning of a long presence in 3rd generation quartz by the Japanese manufacture. Its Twin Quartz was a rather mundane looking bracelet wristwatch with no bells and whistles and little fanfare, which achieved a claimed accuracy of less than ± 5 seconds a year. As such it was second only to Citizen’s Mega Quartz which featured a 4MHz medium frequency oscillator and which was accurate to ± 3 seconds a year. The Mega Quartz was only sold as a hideous gold bracelet watch in the ‘70s style, priced at the enormous sum of ¥ 4,500,000, or nearly $15,000 in 1975 dollars. While it is still the most accurate wristwatch ever produced by any manufacturer in the world, it is largely forgotten for a reason. 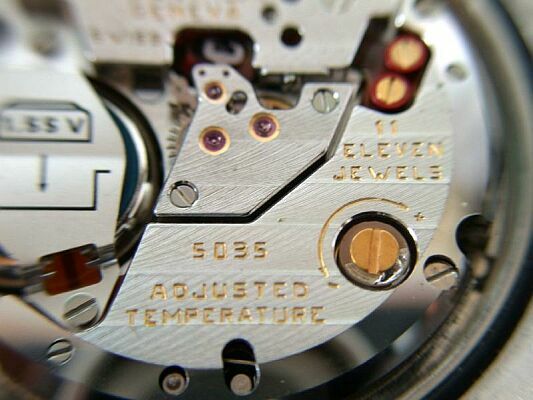 While there is little information available about the much more accessible Seiko Twin Quartz, it appears to have been a dual oscillator calibre with digital thermocompensation, which would have made it the first implementation of that technology on a wristwatch platform. Digital thermocompensation operates akin to the basic principle of an atomic clock, which uses a ultra high frequency atomic oscillations (10GHz) to check and correct the performance of a OCXO or other high stability high frequency quartz oscillator, which is the actual timekeeper of the atomic clock. 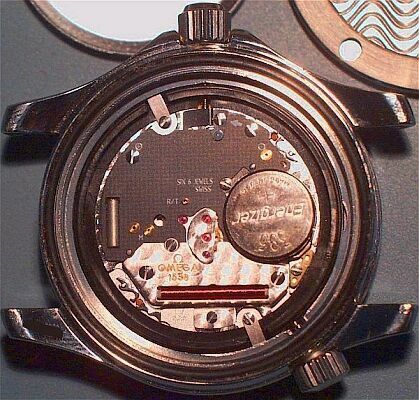 As a wristwatch, the Twin Quartz was most likely a standard 32kHz oscillator paired with a medium frequency oscillator running at 196kHz. Seiko’s present day 3rd generation offerings are less accurate than the Twin Quartz, using analogue thermistor temperature compensation like the Rolex 5035, or a higher frequency oscillator. As one of the largest manufacturers of wristwatches in the world so large that it manufactures its own quartz crystals it is only expected that its collection of high performance quartz wristwatches would cover a broad range of designs and price points. While I am hardly one to crow about low craft mass-produced movements, quartz or otherwise, the fact that Seiko can offer its Perpetual Calendar line of 196kHz wristwatches (±20 secs/year), as well as the recently departed Pulsar PSR-10 (±10 secs/year), at extremely accessible price levels (most $200 to $300) would seem to indicate that cost is not a major barrier to wider implementation of improved accuracy technology by the industry, which by and large has clung to 2nd generation design (this of course includes most Seikos as well). Of more interest than its Perpetual Calendars is Seiko’s premier collection of Grand Seiko Quartz wristwatches. The 15 year production of Grand Seiko mechanical wristwatches had ended in 1975 with the brazen conquest by quartz, and the Grand Seiko name was left dormant until 1988. 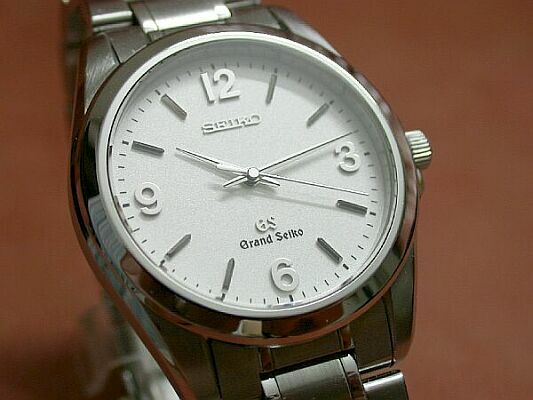 The philosophy behind Grand Seiko has always been to produce the best basic wristwatch, both practical and legible. In reviving GS as a quartz collection it was imperative to develop VCTCXO quartz modules that would live up to the GS name and standard. This led Seiko to buck the trend for small and thin quartz modules, and to build larger and more robust ones than it ever had before. Of course Seiko does not neglect the art of the thin quartz module, producing its 8F line of high-craft thermocompensated (±10 secs/year) ultrathins for its non-Kinetic quartz Credor wristwatches. The current backbone of the GS Quartz collection are the 9F calibres (shown above right) first introduced in 1993, which are rated to ± 10 seconds/year and feature a host of refinements including instant date change (1/2000th second). The heart of the 9 jewel module is its unique twin pulse control high-torque stepper motor, which makes each 1 second step of the seconds hand in two fluid pulses to reduce energy consumption. It also features a backlash auto-adjustment mechanism to eliminate stepper error and assure perfect alignment of the seconds hand with the indices. The center of the module is an air-tight compartment which protects the stepper rotor and lubricants from dust and foreign particles, intended to maintain optimal performance for a estimated period of 50 years before requiring service. The present pinnacle of Japanese quartz horology hearkens back to the standard set by the Seiko Twin Quartz in 1978. As part of the Historical collection of 2000, Seiko released a limited edition reissue of the groundbreaking Astron, this time featuring a special version of the Grand Seiko 9F61 calibre, accurate to ± 5 seconds per year. Perhaps more significant to the present market is Citizen’s limited production line of perpetual calendar quartz wristwatches also accurate to ± 5 seconds/year, simply named “The Citizen.” Citizen is well known for the high accuracy of its quartz watches, though little is known about their technology as they claim to not use thermocompensation but a proprietary method of accuracy improvement. The Citizen’s handmade module A660 is thus an enigma, though a welcome one. Most Swiss watch brands are of course dependent upon ETA for their quartz modules. ETA’s involvement in quartz goes all the way to the production of the Beta 21 module (then as Ebauches SA), but as far as I have been able to ascertain ETA has never offered 3rd generation high-accuracy quartz as regular production ebauches only as special modified modules for specific manufacturers. It was the Longines VHP in 1985 (±10 secs/year) which set the basic pattern for ETA’s TCXO modules, following the same basic principle as Seiko’s Twin Quartz from the 1970s: digital thermocompensation through the pairing of two oscillators. While the primary oscillator has always been 32kHz, ETA’s secondary oscillators have varied from 262kHz to 2MHz. Unlike the Rolex and higher-end Seikos, most of the current ETA ebauches have no rate trimmers which are an expensive feature that have fallen into general disuse. The Longines module was redesigned in 1996 to add a perpetual calendar function, and ETA managed to keep the accuracy rate at ± 10 seconds a year something which Seiko failed to do with its lower priced Perpetuals. Piquot Meridien also uses a variation of this thermocompensated perpetual calendar module in its Observatory-certified Octanis Marine Chronometer. Both the Longines and the Piquot Meridien use lithium power supplies for maximum stability. Similar but different modules are used at present by Omega for its Constellation Perpetual Calendar, and Seamaster Professional (shown above) and Seamaster 120m quartz wristwatches, all accurate to ± 20 seconds annually. Omega’s X-33 multifunction analog-digital watch also appears to be thermocompensated (36 secs/year). The long discontinued Marine Chronometer (±10 secs/year) from Krieger appears to have used a module related to that of the quartz Seamasters, as both feature digital regulation that permit incremental adjustments of 0.33 seconds per month. Omega’s prime competitor Breitling has taken the unusual and welcome step of having ETA upgrade all of its luxury finished 2nd generation quartz modules, both analogue and digital, to 3rd generation performance. In contrast to all of the other TCXO modules from ETA, these newly modified Superquartz modules do not use digital thermocompensation, but instead an analogue thermistor which has improved their accuracy to ± 15 seconds a year. The Frederic Piguet calibre 1271 in Breitling’s recently discontinued Chronoracer Rattrapante has always been thermocompensated. As wonderful as it is that Seiko produces technically refined hand-assembled VCTCXO modules for its Grand Seiko and Credor quartz wristwatches, there has not only been a lack of progress in timekeeping performance, but some general backsliding relative to the best that they have achieved. Likewise, the select use of high precision quartz by Omega and Longines, and the recent total upgrade off all its quartz wristwatches to TCXO by Breitling are all to be applauded, yet at the same time they evoke questions as to the standard which they set. These quartz modules are the pinnacle of performance available today, and most handily surpass their claimed accuracy specifications, but they are all still 3rd generation and no more advanced that those of the late 1970s the Oysterquartz is our living witness. As the last advance in wristwatch horology they have remained an exotic and rare high-performance product, rather than the new basic standard which they should have become while evolution pushed on to a 4th generation and still greater accuracy. We note that today’s best XO standard without atomic reference is now ± 1 second in 10 years. No doubt some will hold up radio-controlled quartz watches and clocks as the next level of performance. But however functionally useful, these tethered timekeepers are pathetic creatures in-themselves reflecting no advance in horology, but in radio reception. The future of personal timekeeping lies not in those radio-controlled novelty watches, but in similarly accurate mobile phones and GPS devices, which when integrated into the workaday machines of modern life will relegate the wristwatch to pure jewelry status, and a subject irrelevant to living horology. The prime real estate of the wrist will become home to other technologies that will offer timekeeping as a minor secondary feature. Technically most quartz wristwatches produced today and in the years to come will remain the same 2nd generation quartz produced in 1972 the year I was born, and it appears most unlikely that the wristwatch will see any further horological development. 4th generation high-performance quartz will remain a platonic ideal, unrealized and untouchable. The still rare 3rd generation of quartz remains the pinnacle of consumer horology, and the final paradigm of the science in wrist-mounted timekeeping. Seiko calibre 9F38 courtesy of Seiko Time Corp.